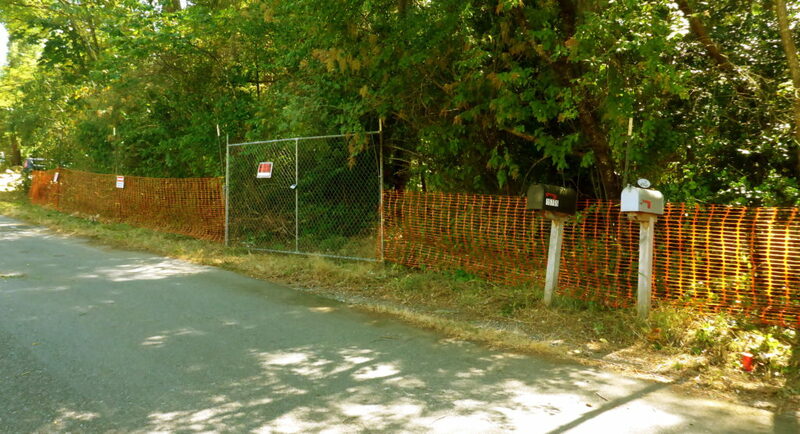 Needed to get a fence up across the Gold Bar property on Saturday 8/4. Some campers reportedly using our land to access May Creek (on the W prop line). Also met more neighbors in the immediate neighborhood. Warm welcome as we plan to build on the last undeveloped lot in this 100+ lot subdivision. Next project milestone: Assembling final documents required to submit for permit. Getting close. Like to have application in this month. Gold Bar Dr. runs roughly N-S. This is looking W. The drive will be roughly where the gate is located. Here’s a general GB2 Project Update. For this informal site maintenance build Stephanie Lam joined in. Really appreciate her assist getting the fence up! 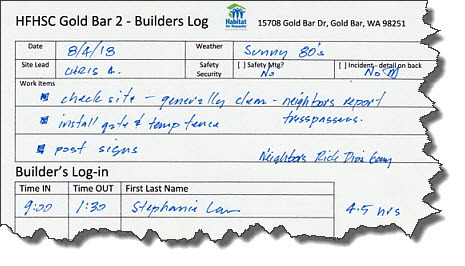 That prompted me to generate the first GB2 build log so we appropriately capture Stephanie’s donation of time and talent.